The Wood Industry Training Forum is dedicated to providing careers and training support (including specialist apprenticeship guidance) for the woodworking sector and our customers. The Wood Industry Training Forum is supporting the develop the qualifications that sit at the heart of our industry. These are in the process of being modernised to fit with the new Standard requirements and support the industry as it evolves. Through the British Woodworking Federation you can access specialist advice on employing and funding employing and funding apprenticeships in woodworking (specific to your region of the UK). 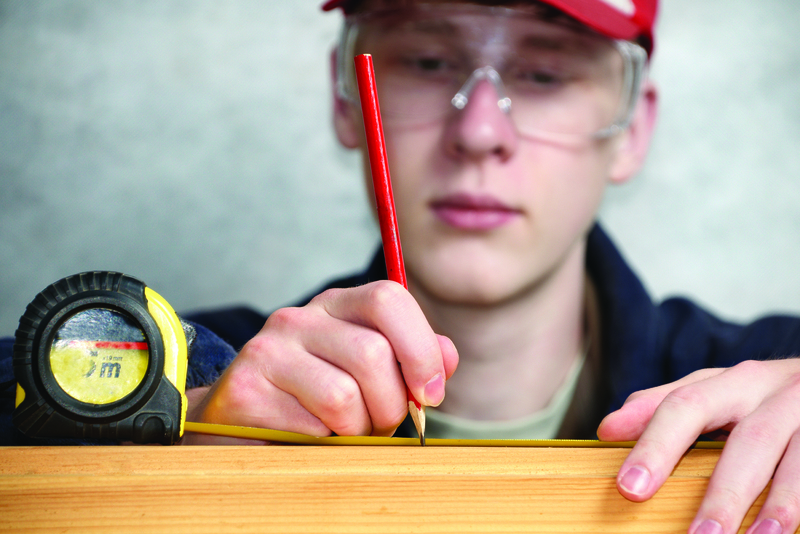 There is also dedicated advice for those looking to start a woodworking apprenticeship. Online Training – For those limited by distance or cost the BWF has developed a series of highly interactive on-line learning resources. We cover a range of areas from machining, to management, to timber training. Take a look through our courses section to find the right training for you. We also operate the Woodworking Continuing Professional Development system to help you manage and record training outcomes as an individual (your industry passport) or within the teams that you operate. Model training and development policy for a small business. Model training and development policy for a one-person business. Guidance on preparing a statement of a company’s commitment to proper training and its willingness to give its workers the opportunity and encouragement to develop their individual skills. Clossing Session – Why Should Society Use More Wood? Ross Holleron from the Zero Carbon Hub addressing the performance gap, and linking good specification with good workmanship on site. The future of timber: what wil you be using? Gold Sponsors, Vetrotech, sponsor this masterclass, delivered by sister company International Timber, that will look at the future of timber species and their availability – what changes might you have to make to the timber you use to manufacture? Poor supervision and inadequate training are two of the main causes of accidents. As part of our latest campaign to make each BWF member a Health & Safety Hero, we look to better understanding the training requirements for people using woodworking machinery, including those responsible for supervising and managing people using woodworking machinery. Industry leading recruitment company Miller McKenzie explore the often underestimated area of talent management within the workplace and offer tips on how a robust and forward thinking talent management strategy can give your company a competitive advantage. New rules on consumer rights and dispute resolution are coming in this year that will increase the powers that consumers are able to exert on your business, especially when a contract runs into trouble. With the EU Consumer Rights Directive already being implemented in the UK, all businesses also need to ensure that they are aware of the new rules. Marketing is critical for competing in the market place. We look at some best practice for joinery marketing, what you might need to back up your marketing claims for your products – including the role of BIM -and when (and indeed, if) you should use social media to promote your business.